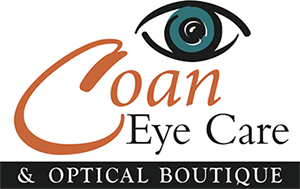 At Coan Eye Care, our optometry staff works together to ensure your visit is comfortable and completed in a timely manner. We have a qualified team of professionals that will work around your busy schedule and address any questions or concerns prior to the appointment. Whether it’s a general eye exam or treating a condition that requires an in depth diagnosis, our team provides undivided attention to each patient so we can evaluate a plan based on your needs and our professional opinion. We offer full vision examinations and will diagnose and treat an array of eye diseases and conditions to keep your eyes healthy! You can also learn more about our individual vision plans here. Phenomenal service! Recieved the best customer service ever. Everyone from the Front Desk Reps, Opticians, Back staff and down to the Dr.Coan was amazing. Andrea was helping me pick out my lens. She was extremely helpful, patience and knowledgeable. I'm happy to say, I found my new eye doctor location. Dr. Coan as always, thorough, patient, and knowledgeable. Although they are always busy, I never feel rushed & always feel like I’m the only patient in the entire office from the moment I’m being worked up by the techs to my time with the Dr. My sons & I have been patients for a few years now & I don’t plan on going anywhere else. Dr. Achong-Coan was great! My eyes were so dry and tears would just roll down my face constantly. But she did the Lipi-flow on my eyes and prescribed some drops that has tremendously helped the dryness of my eyes.